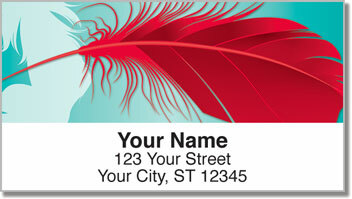 Give your outgoing mail an eye-catching lift with vibrant illustrations of fine feathers. We think of feathers as soft and delicate, but they are the miracles of nature that make flight possible. They also keep birds warm and help them attract a mate! Perhaps we often use feathers as decorations and jewelry because we are secretly envious of our feathered friends. 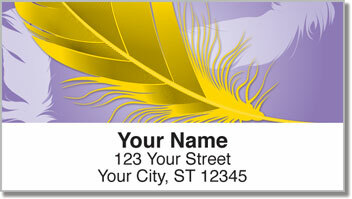 Fancy Feather Address Labels let you decorate every envelope you send with the beauty of bold yet supple plumage. Put them on your letters and packages to save a ton of time! 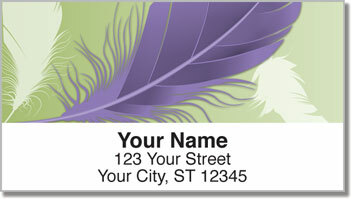 Order your very own Fancy Feather Address Labels now! 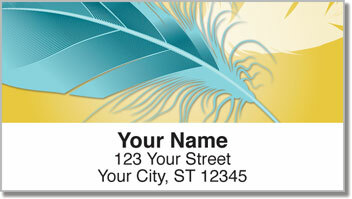 This colorful selection is also available as a set of matching personal checks.